Colorado based Jag Panzer is back with their first effort since 2001's Mechanized Warfare. 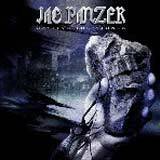 Ever since the band reformed with Harry Conklin in 1997 with the release of The Fourth Judgment, Jag Panzer have consistently released very good traditional heavy / power metal albums. Casting the Stones is no exception. While the disc takes a few more spins to absorb, it is well worth the Jag Panzer name and is a worthy acquisition for fans of the band and power/heavy metal fans alike. Casting the Stones uses more progressive elements than we have heard from Jag Panzer in the past. Additionally, Casting the Stones is also a very diverse album, so I will pay special attention to individual songs on this album to really give you an idea of what Casting the Stones is all about; general descriptions just can't do this album justice. From the onset of the album, you can hear a difference in sound with the opening track, Feast or Famine. Subtle use of keyboards coupled with a more technical sounding (particularly the rhythm section), yet powerful assault greet the listener with full force. The Mission is up next and is a much more familiar sounding Jag Panzer track. Galloping riffs supported by a thick bass presence and soaring, sing along chorus lines will surely make this a great live track. This is one of the more memorable tracks of the album. Moving right along, Vigilant is a mid paced, Dream Evil era Dio like tune with masterful duel guitar work form Briody and Broderick. Rikard Stjernquist is a beast behind the drumkit, keeping things completely unpredictable throughout the song with his intricate and varied drum work. There's also an eerie sounding keyboard break in the middle of the song that adds a nice touch. From these first three tracks, I know that Casting the Stones will be a diverse, yet uncompromisingly Jag Panzer album. Achilles is an unusually short song, clocking in at 2:45. However, it is effective despite its length, jumping on me instantly just like The Mission. A melodic guitar lick ala Iron Maiden gets things started. From there, the song is carried by a haunting groove backed by a very deliberate sounding rhythm section and atmospheric keyboard textures. Tempest is another example of Jag Panzer's journey further into the progressive realm of music. The song starts with lightning fast, razor sharp riffs backed again by Stjernquist's tight and efficient drumming. An acoustic break in the middle of the song gives way to a ripping, technical solo. This song also features several time changes and soaring vocals from "The Tyrant." Tempest also sees some more prevalent use of the keyboards in certain spots. Legion Immortal is mid tempo (well, the faster end of mid tempo) track, yet sounds heavy as hell thanks to a very forceful bass presence and staccato style riffing. The chorus lines feature classic soaring vocals at their best from Conklin, although I feel the central melody could have been stronger in order to make this a killer track. Nonetheless, another fine solo combined with the aforementioned make this a good, but not necessarily great track. Battered and Bruised is another powerful track, yet lacks something special to enable it to stand out. There's nothing special about the chorus or melodies, yet a varied mid section prevents the song from falling into mediocrity. Furthermore, this track does not boast a distinctive solo or pounding rhythm like so much other material offered on this album. Not a bad track, but nothing memorable either. Unfortunately, Cold doesn't up the ante from the previous track This is a mid tempo cut the contains a downright flat chorus, with the song itself being rather anticlimactic. When compared to some of the progressive and technical sounding material earlier on the album, Cold just sounds so simple and uninteresting by comparison. Starlight's Fury is mid tempo track bordering on power metal, but this time it's a good song. The guitar work is again complex and technical, very "progressive power metal" in its vibe. Some nice guitar shredding and unexpected time changes make this an interesting number. Again, a powerful bass presence gives this song a big punch, and Conklin's soaring vocals throughout are a highlight. Some light use of keyboards are strategically used to enhance the atmosphere in parts. The Harkening features more intricate drum work and staccato, almost thrashy sounding riffing. The rhythm section as a whole puts forth a very detailed performance on this track. This is one of those tracks in particular that will take a few listens to absorb. Musically speaking, there is a lot to take in, and I enjoy hearing all these intricate ingredients at work, but there isn't a catchy riff, solo, or chorus line to reel you in at first listen. Precipice concludes the album with the most progressive sounding sound of the album yet. This epic song starts off as a moody mid tempo song, and then blisters into a frenzy of shredding, calming back down again toward the end. An Arabesque guitar tone during the second half of the song provides a really unique atmosphere. As you can probably tell, Casting the Stones is a diverse Jag Panzer album. Although the songs in general have a more technical and progressive quality, they still retain that classic Jag Panzer sound. In all likelihood, it will take a few extra spins to really grasp this album than Mechanized Warfare. I must take an opportunity to comment on the outstanding musical talent in this band. Harry Conklin's soaring, emotion packed delivery is as intense as always, an unmistakable voice in metal. The guitar duo of Mark Briody and Chris Broderick click together like a Swiss watch and the rhythm section is more than just a backdrop to the sound. John Tetley gives the songs an authoritative kick with his aggressive bass playing and Rikard Stjernquist refuses to deliver a single filler beat, always managing to keep things interesting and unpredictable. Although I feel this album falls a notch below Mechanized Warfare, this is still a very good album.